DLK on Avenue offers the most up to date, safe and effective hair reduction technology and treatment programs. Multiple lasers and light sources are used to treat all skin types. Patients with unwanted facial or body hair (on most areas) can be treated. The most commonly treated areas for laser hair removal are the legs, underarms, back, face, upper lip, neck, chest, periareolar, bikini line and stomach. The best candidates are light skinned with dark hair but at DLK, we offer hair reduction for both light and dark skinned patients. DLK Laser Hair Treatment offers the newest technological advances in laser hair reduction that are safe, effective, faster and more comfortable than other laser systems. We offer multiple technologies so that patients of all skin types can be treated. During treatment, the laser emits a light that is selectively absorbed by pigment in the hair follicle resulting in overall hair reduction of the treated area. Patients need only grow the hair 2-3 days prior to treatment. The procedure is generally well-tolerated. Minimal redness and puffiness may occur but should subside quickly. The procedure takes 20-50 minutes depending on the areas treated and patients can immediately return to regular activities. A series of treatments is recommended for best results. 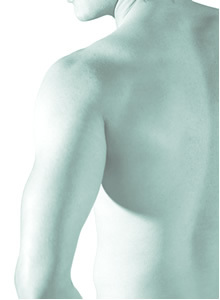 DLK Laser Hair Reduction For Men is a unique hair reduction treatment to help men shave time off their hair removal routines by reducing unwanted and unruly hair. The goal of this treatment is to make men’s shaving much more streamlined while saving them time in the process. The DLK Shave Time Treatment is a solution to help make men feel confident, look well groomed and still maintain a rugged appearance when necessary. Results are dependent on many factors including skin colour, hair colour, coarseness of the hair, exposure to the sun and energy level of the laser. Patients require at least 5 treatments every 6-8 weeks to target hairs that might have been in the sleeping phase (telogen) during treatment. After laser treatments some patients notice a dramatic reduction in the number of hairs and a decrease in rate of hair growth. Permanent reduction of up to 90% can be achieved. 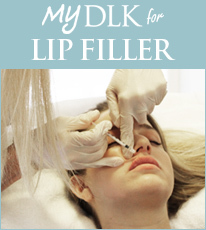 Cost: Since every DLK Laser Hair Reduction Program is custom designed for each patient, the cost will vary. A quote will be given during consultation.